Perspective is a hard thing to come by, even for a writer, whose job description, if one thinks about it for a minute, is all about perspective. 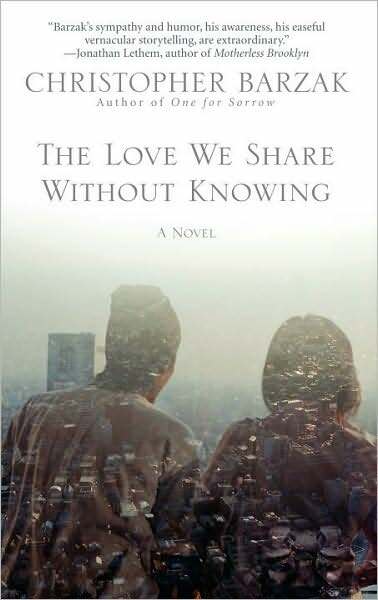 And so when Christopher Barzak was almost randomly offered a chance to change his perspective, he jumped at the chance — and had a series of experiences which have lead to his latest novel, The Love We Share Without Knowing. “Barzak’s perceptive writing evinces the fragile and overwhelming desire for meaning and love,” Publishers Weekly notes in its review, which suggests that Barzak indeed has gotten a new view of the world, and has succeeded in sharing it. What was this change in perspective? Here’s Barzak to tell you all about it. “Why don’t you come over here, then?” my friends asked. I had always wanted to live in another culture, just to know what that would feel like, since I was a teenager. I grew up in a rural small town in Ohio, where the quality of sameness was so prevalent that my imagination became my strongest faculty; the means by which I could encounter difference. So when my friends invited me over, saying they could get me a job, after deliberating for a few days, I wrote back, “Okay, sure, why not?” After all those years of imagining a life for myself elsewhere, I figured I had better seize the chance to make that a reality. Japan, however, had never been on my map of places I wanted to visit, let alone places I wanted to live. So I agreed with some reluctance. 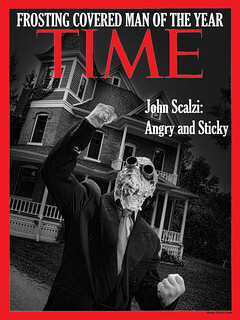 The fact that I had graduated with an MA in English/Creative Writing and was living in the Rustbelt City of Youngstown, Ohio where there were very few opportunities for a person with a graduate degree in English, though, aided me in making a decision to leave my home and live in a country to which I had no strong connection or desire to visit. Times were hard. Bush was president (I already speak of this in the past tense, probably unwisely). The tenor of America was harsh, unkind, divided by our own ideas of ourselves. Why not live elsewhere for a while, I figured? So I arrived in Japan without much expectation, other than I was about to enter a strange land. What I discovered, though, on the other side, was a place where I was suddenly free of all the cultural conflicts of America. Japan certainly has its own problems, but I was now a free agent. Being a foreigner comes with many benefits. One of those benefits is a sort of freedom from participating in both one’s host culture as well as being free of the rules and regulations of one’s home culture. If you have never experienced this before, I highly recommend it. Early on in what came to be my two-year stay in the Land of the Rising Sun, I began writing stories. At first I thought they were short stories. After the first two, though, I realized there were character overlaps, and by the time I wrote a third one, it was clear that the people I was writing about were all connected to one another, even though they themselves did not realize their own connections, the way they were influencing and affecting one another’s lives without knowing. Soon I found myself halfway through the first draft of a novel in which I was trying to make sense of being a racial minority for the first time in my life, a foreigner in a country that had military bases full of my own country’s people living on them, how growing up with a foreign military in your own back yard must feel. I found myself writing a novel about Americans who have chosen to leave their country because of their great disappointment with it, a novel about Japanese characters who felt alienated in their own homeland for its own cultural limitations, a novel about how easy it is to feel alone in the world, whatever part of the world you may live in, for any number of reasons, but how our aloneness is the common thread that binds us together. I found myself in Japanese art museums, staring at long folding screens, the panels of which Japanese artists have been painting with epic imagery for centuries, depicting movements in their cultural history, and wondering if a novel might not be made to emulate that visual structure. I found myself learning a new language, becoming friends with children for the first time in ages, learning how to care for young people, how to befriend someone even though we did not share a common language, how to be grateful for the amazing kindnesses perfect strangers gave to me throughout my time there, helping a foreigner in ways that I could not imagine many people in my own country, Land of Learn the Language!, performing so honorably and with such ease as the Japanese. I found myself remembering what it is like to live in a true community. It had been a long time since I’d felt that. Because of the loss of an economic foundation in the Rustbelt, in places like Youngstown, Ohio, I’d grown up in a place where people did their best but were wary of each other, afraid that kindness would only lead to someone taking advantage of them-the curse of capitalism, to capitalize, to take advantage. Because I’d left a country behind that was so divided by our differences from one another, I found myself able to begin making a relationship with the world again, rather than trying to run away from it. I found myself smiling and happy when a Japanese person who spoke little English trying to anyway-famously saying, “Please! Enjoy!” Two words that indicate a welcoming, and a wish for a guest to make themselves at home. If you know no other words in another language, those are two of the loveliest to know. That’s the Big Idea of my novel, The Love We Share Without Knowing. A novel is never just one big idea, though. A novel is a constellation of ideas. There are more ideas, big and small, in this book. Please! Enjoy! Please enjoy them all. Read an excerpt of the novel here. Visit Barzak’s blog here. Crikey. Not something I would typically look for. It sounds all literary and magical realism. But after reading the Big Idea and then the excerpt I was compelled, compelled I tell you, to click the “Place your order” button over at Amazon. So I did. I loved One for Sorrow, and had no idea that Barzak had a new novel out. Excellent! Among the many reasons that I love fandom (and the Whatever!) is the opportunity to hear people whose taste I can trust say ‘Try this- it’s wonderful.’ Like Shane@1, it’s going on my immediate buy list. I was once one of those foreign military personnel living there (off-base, too, for the last 10 months or so). As a 22-year-old I’m afraid I didn’t have quite the perception Mr. Barzak shows, but it surely did broaden my outlook. I’m still kicking myself for not learning the language, 35 years on. Realer Than You was one of my favorite stories from Coyote Road. 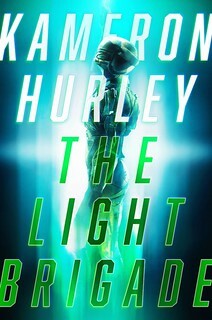 I’ll definitely be on the lookout for this book. Thanks for the heads up. Probably, at some point in the Big Idea, you should tell us what the novel is about. It’s about all of what I wrote here, and more of course. Or, a condensed snapshot, it’s a novel about the connections people have to one another but don’t realize, told through multiple points of view characters, Japanese and American, with flourishes of Japanese folklore and fantasy throughout. I haven’t read books in ages, so being able to discover new novels to read is an absolute treat. A friend of mine is a Japanophile, and I’ve watched a few Japanese anime series, so this is a must-read for me.